Long before I met my husband I heard about a fascinating study that claimed to have discovered the single greatest determiner of a lasting marriage. Whether or not the researchers actually found THE single greatest determiner is debatable, but I still think they were pretty right on. Psychologist Dr. John Gottman is the founder of The Gottman Institute, which has conducted ground-breaking research into marital relationships and the keys to their success. Specifically, Gottman conducted a study in which he videotaped newlyweds discussing an issue about which they disagreed, and then he tracked the couples over the following years to see which couples stayed together and which ones divorced. After years had gone by and the fates of the marriages were largely determined, Gottman went back to the videos and examined the interactions between the couples in an attempt to discover which couples were built to last, and which couples were doomed for destruction. Based on that information, Gottman now feels he is able to predict with considerable accuracy which marriages will succeed and which will fail. And what were the characteristics of a doomed marriage? Gottman observed that in couples who later divorced, there was an element of contempt in their disagreements with one another. While arguing, they were condescending, they froze one another out by refusing to listen, and they tore one another down with name-calling and insults. Rather than approach the problem as a team, they quickly divided and covered their own tails. The successful couples, on the other hand, were quite the opposite. Though they still disagreed on things, they were willing to listen and grow from one another. And even more fascinating about their interactions is that for every negative thing they said toward the other, they would counteract it with an average of five positive things. The successful couples also prevented the argument from escalating. Gottman found that the more a person’s heart rate increases, the less he or she is able to listen and respond rationally. When the heart rate increases, a person is more prone to become defensive and lash out. However, couples who were able to be patient and gentle with one another prevented the argument from escalating and were subsequently able to sustain a conversation that was not only respectful, but from which they both could grow. When this decades long study was all said and done, Gottman came to the following conclusion: a happy couple is not a couple without conflict. According to Gottman, all couples fight. All couples have irreconcilable differences. It’s how you handle those differences that makes or breaks your marriage. In addition to these findings, Gottman discovered one other factor that influences the staying power of a marriage. Of all the couples he studied, he observed some couples who engaged in healthy fighting but nevertheless divorced. After examining these couples further he determined that these couples simply didn’t enjoy one another’s company. They didn’t fight but they didn’t laugh together either. There was no chemistry, no fun. One might conclude that this latter category of couples should have never gotten married in the first place, but I have a different perspective. This study reminds me to make having fun and laughing with my husband a priority in our marriage. When it’s been a bad week and we’re both grumpy lumps, it’s important to find a way to laugh together and cut the tension. So for those of you who are married or hope to be one day, tuck this study away in your brain. Not only is it backed by science but I think it has solid biblical grounding as well. Scripture speaks of a deep and mysterious unity between a husband and wife, a unity that should shape our agreements and disagreements alike. When working through conflict the ultimate goal is not victory but intimacy. In both peace and conflict we strive to reflect the everlasting unity between Christ and his Bride. I like it because it makes two points for me. The first is identifying the ultimate goal of working through conflict as achieving reconciliation and intimacy rather than being able to carve a notch in one’s victory belt. The second is recognizing that resolving conflict takes work. That’s one of the things I tell people who talk to me about wanting to get married, that marriage is not all sunshine, lollipops and rainbows (http://www.lyricsdepot.com/lesley-gore/sunshine-lollipops-and-rainbows.html). Instead, a good marriage will at times be a rough slog yet always worth it in the end. P.S. 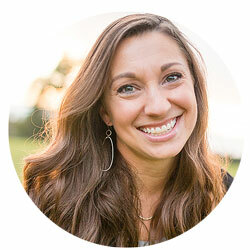 I recently did another guest post over at Aimee Byrd’s site (http://www.housewifetheologian.com/all-of-me/). I hope you get a chance to take a look at it! Thanks, Tim! And I’ll be sure to check out your post!